Itching to tickle the ivories? Curious about piano lessons? Or perhaps you've already played for a while and are looking for ways to improve your skills? Playing the piano doesn't have to be hard, and there's more than one way of learning. Just to sit down at the piano and play beautiful music. To come home after a busy day at work and relax by creating your own piano piece. Open a piano sheet music book and simply read and play any piece you want. Learning how to read music will make that possible. Anyone can learn to play the piano, and you don't have to be a pro to make it sound great! OK. But Where to Start? Learning to play an instrument can seem daunting at first. There are so many options. How do I get started as an adult? 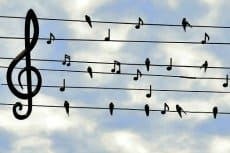 How can I learn to read notes? 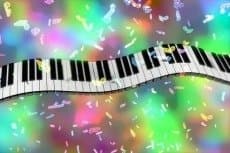 What piano sheet music is best for an adult beginner? 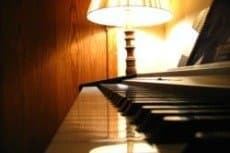 What type of piano do I need to learn piano? 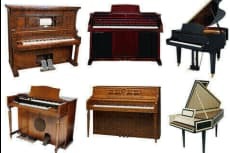 This website is an online resource with lessons, help, tips and advice tailored for adult beginners who are ready to learn how to play the piano. It's your guide to help you find your way through a maze of choices, and set you on the path of discovering the world of music through piano playing! Whether you teach yourself to play or learn from a piano teacher, you will need resources to keep you motivated. Check out The Piano Lessons Blog regularly for what's new and updated as this site evolves. Remember to bookmark it too! And don't forget to join our free newsletter "The Piano Player"! It comes with monthly tips, tools and updates to keep you practicing. You'll even get a free E-book when you do! Click here to learn more.